What Are the Predators for Snapping Turtles? How do sea turtles protect themselves? The most obvious answer to this question is prominently displayed upon their backs. The hard, bony external shell, called a carapace, not only indicates the relative age and species of sea turtles; it also functions as a natural suit of armor. Unlike land turtles, however, sea turtles cannot retract their heads and limbs under their shells. Their bodies are streamlined for endurance and speed in the water, which comes in handy when adult sea turtles are confronted by their primary predators: large sharks and killer whales. 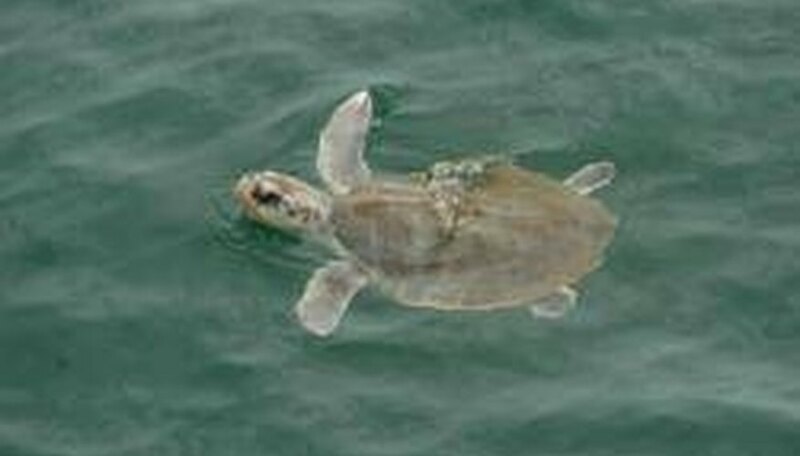 Ironically, the characteristics that make them powerful swimmers (large paddle-like foreflippers and smaller, rudder-like hind flippers) also make sea turtles clumsy and virtually powerless on land. In addition to their shells, sea turtles are armed with claws on each foreflipper, large upper eyelids to protect their eyes, and acute senses of sight and smell under water. Neither sea turtles nor land turtles have teeth, but they have well-built jaws that vary in shape according to species and diet (herbivore, carnivore or omnivore). By the time sea turtles reach maturity, the majority of the battle has been won. The period between nesting and the first year of life is the most treacherous. Dogs, raccoons, crabs, birds and some fish prey on turtle eggs and hatchlings. In fact, only one of every 1,000 hatchlings survives predators. Research indicates that there are certain instinctive behaviors that safeguard the lucky few. Following a two month incubation period, hatchlings emerge from their nests after nightfall, reducing the risk of detection by predators. They head frantically toward the shore and swim for 24 to 48 hours to reach deeper, safer water. Hatchlings have been observed diving straight down to take cover when birds appear overhead. 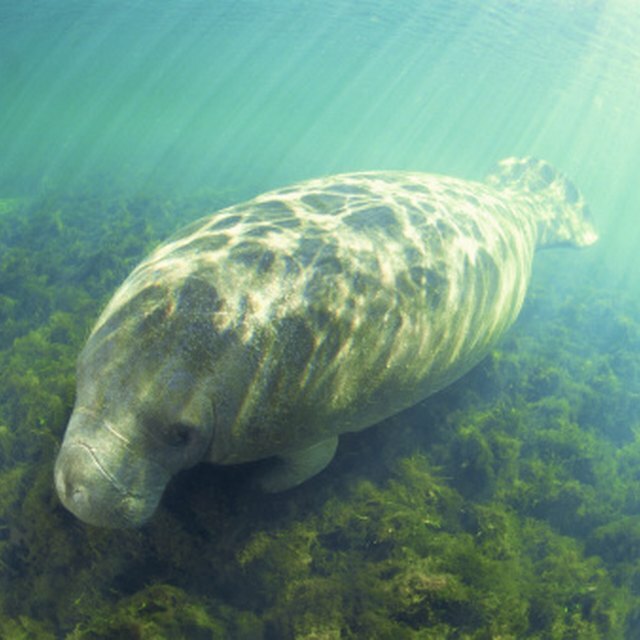 The ones that survive the journey are believed to make their home among clusters of seaweed for camouflage and food supply as they grow and adjust to sea life. Sadly, the most serious threat to the sea turtle population is one against which they have no recourse: human carelessness. Increasing beachfront development disrupts the natural nesting patterns of female sea turtles. Trash on the shoreline and in the water is often swallowed by sea turtles, resulting in strangulation and death. 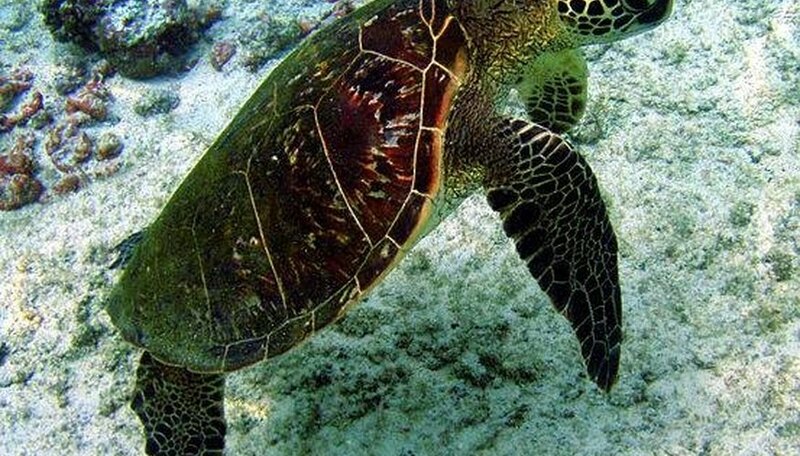 Injuries resulting from collisions with watercraft propellers are common, and thousands of sea turtles are accidentally caught and drowned in fishing nets each year. Sea turtles are endangered because of their inability to protect themselves from the destructive influences of humankind. Tawnicia Ferguson Rowan, "The Woman Wordsmith," is the Founder & CEO of Well-Written Words, LLC, a writing and editing service company. She is a passionate writer, educator, and scholar with a special interest in womanist thought and spiritual empowerment. Ferguson, Tawnicia. "How Do Sea Turtles Protect Themselves?" Sciencing, https://sciencing.com/sea-turtles-protect-themselves-4566943.html. 24 April 2017.